NOTE: The stills accompanying this review are taken from various online sources and do not necessarily represent the quality of the Blu-ray under review. Made to commemorate the hundredth anniversary of the unification of Italy, Roberto Rossellini's Viva l'Italia (1961) is a war epic informed by the director's idiosyncratic vision. 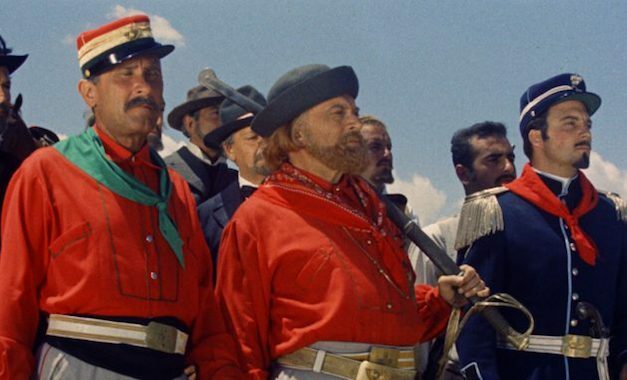 It follows General Giuseppe Garibaldi and his Expedition of the Thousand, as they battle their way across Sicily to wrest the land from Bourbon control. The flick's got the ingredients of feel-good Hollywood product: an impossibly intelligent and humane leader in Garibaldi (played with bottomless gravitas by Renzo Ricci), supported by a ragtag group of one thousand volunteer soldiers who are consistently outmatched by better-armed and better-staffed armies. And yet, thanks to their heart and determination, Garibaldi's scrappy little army keeps winning those battles. Rossellini resists putting too much focus on the men as individuals, choosing to portray the fighters as the part of a greater movement to return Italy to its people. Similarly, he eschews spectacle and you-are-there theatrics in his staging of battle scenes, preferring to examine his massive battlefields from a distance. 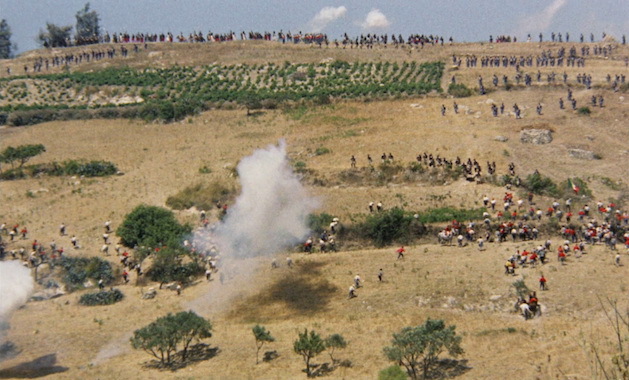 As if to reproduce Garibaldi watching through binoculars, Rossellini's camera pans and zooms across the action as Garibaldi's band of "Red Shirts" clash with blue-clad Bourbon soldiers. Rossellini has described his intention of making a "documentary after the fact" and the film's battle sequences really capture this sense of watching events unfold without too much stylization or authorial imposition. Rossellini prefers to shoot most scenes here in long takes, which gives his actors room to act, but sometimes makes big chunks of the film feel unnecessarily draggy. Admittedly, this reviewer's lack of knowledge in the realm of Italian history might have had something to do with that sense of dragginess too. 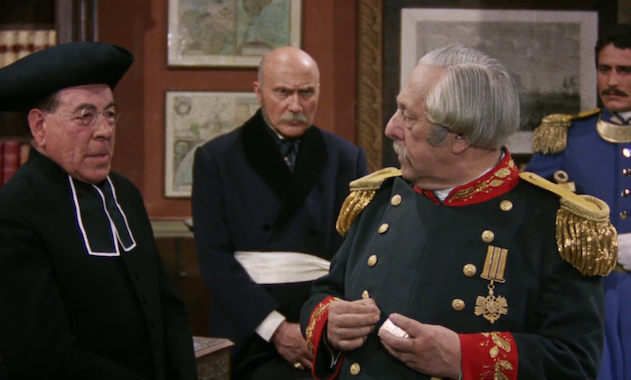 Even though the film does its best to remind viewers of the importance of various political figures, as well as the lands and cities over which they hold power, I was lost during more than a few of the long dialogue scenes. I had to rewind a few times and, yes, I even consulted wikipedia once or twice to fully understand some of the events that occurred in the film. Viva l'Italia is a passionate film whose humane spirit more than overcomes its occasionally confusing dramaturgy. Rossellini has stated that this is the film of which he is proudest, and no doubt the film's uplifting attitude plays a major part in that response. While many viewers will still prefer Rossellini's earlier and better known films (and I don't blame them), Viva l'Italia is poetically rousing and worthy of discovery. Viva l'Italia is compatible with Region A and Region B. The case features a reversible sleeve with newly commissioned art by Sean Phillips and the original poster art. A full-color booklet is included with the first pressing and features an essay by Michael Pattison. Sourced from a new 2K scan, this AVC-encoded 1080p 1.66:1 transfer is excellent. This presentation boasts rich colors and excellent clarity. Not much significant dirt or damage; just some hair "in the gate" of a few shots, but obviously that's an error of the original production. The Italian LPCM mono audio (with optional English subtitles) is solid, if noticeably dated. Dialogue was post-dubbed, sometimes quite obviously, but the performances are suitable overall. The score, by Rossellini's brother Renzo, has a distinctly martial flavor (shades of "Colonel Bogey" from The Bridge on the River Kwai) and suits the film. Unfortunately, the recording skews a bit trebly and lacks the kind of full-bodied support one expects from a rousing score of its type. Viva Rossellini (HD, 32:57) - An outstanding interview with Cannibal Holocaust director Ruggero Deodato, in which he discusses being an assistant director for Rossellini (at barely 20 years old!) in the late '50s and early '60s. He offers both praise and criticism for his old boss, as well as some gossipy anecdotes about other films that he has worked on since. "I Am Garibaldi" (HD, 17:02) - A video essay by Tag Gallagher, who made a similarly idiosyncratic supplement for Max Ophüls's Letter from an Unknown Woman. Gallagher looks at the historical events portrayed in the film before isolating elements of Rossellini's visual style to illustrate the director's admiration for his main character. Arrow's release of Viva l'Italia marks the debut of the film in an any home video format in North America. It's a welcome opportunity to experience a forgotten work from a master of humanist storytelling, Roberto Rossellini. Rossellini mounts a film with the scope of a Hollywood war epic, but subverts Hollywood style by fashioning a docu-drama hybrid of his own devising. It's not as consistent as some of the director's better known films but, considering Arrow's excellent presentation, this disc comes Recommended.